Chile is a land of contrast and surprise, flanked by the Pacific Ocean on the west, the Andes to the east, the forbidding salt basins of the Atacama Desert to the north—with a verdant Central Valley and Cape Horn at its southern extremity. The Chilean people, too, are surprising: on one hand reserved, family-oriented, Catholic, and conservative; and on the other fun-loving, entrepreneurial, neoliberal, and modern. Their geographical isolation from the rest of the world, their colonial past, and the near 20 years of repression under the military dictatorship of General Pinochet have had a profound influence on their character. Today, traditional Chilean values are being questioned by the younger generation. In fact, the country's position as the Latin American stronghold of Catholicism is being challenged by Chileans of all generations, and pressure has led to unprecedented changes in family and censorship law. Chile is also one of the fastest-growing economies in South America, and thanks to ambitious structural reforms, has sharply reduced its poverty rate in the past few years. Culture Smart! 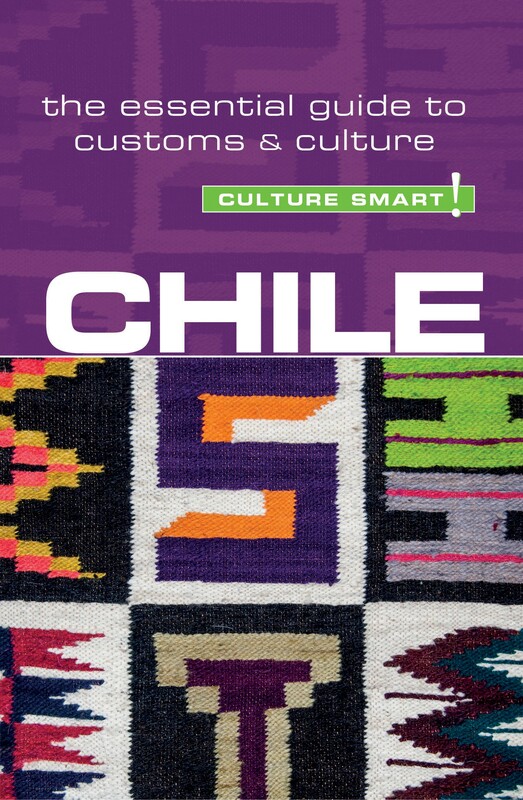 Chile provides vital information on what to expect and how to behave in this complex and dynamic society. The Chilean sense of humour can take you by surprise. Chileans are straight faced and particularly enjoy “pulling your leg.” Their jokes contrast subtly with their apparently reserved manner, and an inexperienced foreigner could easily be disoriented and take things at face value.